That’s not the only singular thing about the wreaths. They are made on a moss frame that has been soaked in water. 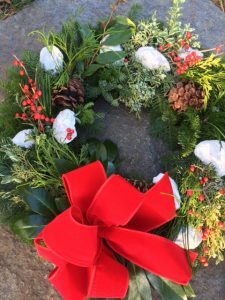 With plenty of moisture, the wreaths last long after the holidays. David says that some customers keep them on their doors until Easter. It’s a way to get through the shortest, darkest days with a little style. Each wreath is painstakingly crafted with individual boxwood by Guy Pomfret. After a few years of “retirement,” he told David he wanted to start making the boxwood wreaths again. He’s back at it this year. Guy will make each and every one they sell. “It’s a lost art,” David says. Instead, he came home in 2002 to take over running the family business. And he’s more than happy that his dad has taken over the boxwood wreaths again. 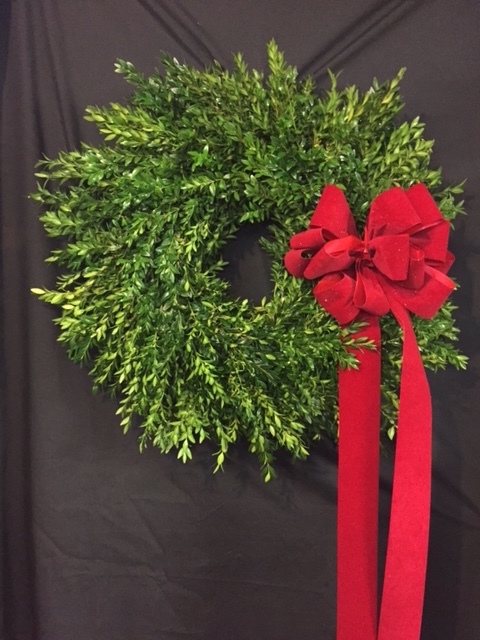 Check out the wreaths this weekend at Pomfret Florist’s open house on Saturday, December 2, 2017 from noon to 5 p.m. 836 County Street, Somerset. (508) 678-6481. 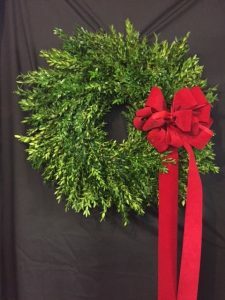 Boxwood wreaths are $49 and up. They also sell handcrafted gifts. 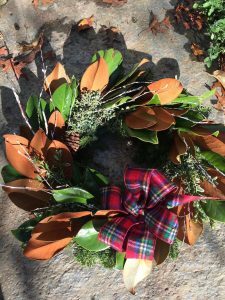 Marion landscape designer Susannah Davis first started making wreaths for her friends and family twenty years ago using unusual plants that she had cultivated in her yard. She added Wareham oyster shells to give them a coastal flair. They were a big hit. So she made them for her landscape design clients. They wanted more. And thus a cottage industry was born. A few years ago, she partnered with Sarah Miquelle of Sarah Brown Studios and they now make over 100 pieces each year: sprays, wreaths and candle rings. Each year, the business keeps increasing. And they keep adding designs. 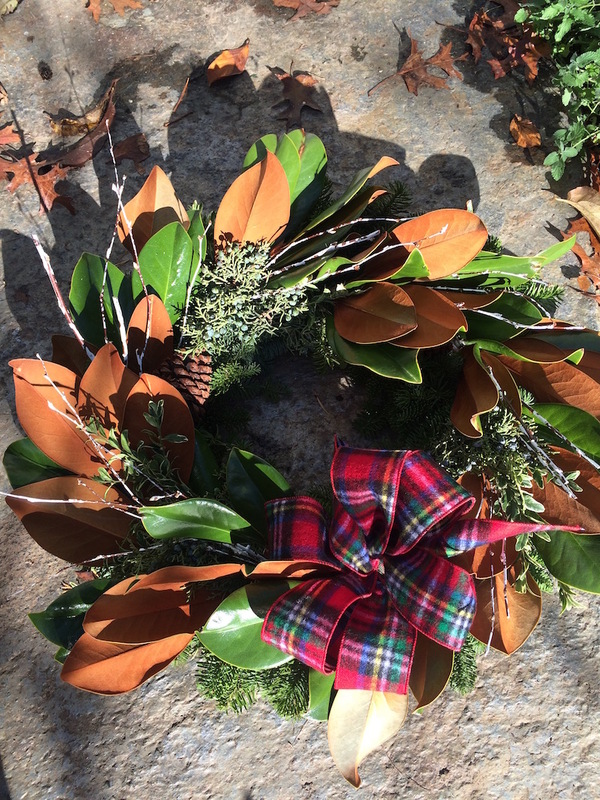 This year, they designed a wreath that showcases magnolia – “people are wild about magnolias,” Susannah says. The original design – with the oyster shells and textured greens – is still a best seller. To keep up with other cool things on the South Coast, sign up here for occasional updates …And shoot us an email at [email protected] if you have suggestions for us to cover.